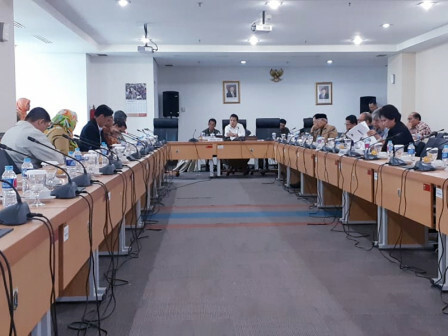 Jakarta DPRD's Regulation Forming Agency (Bapemperda) reviews Jakarta Regulation (Perda) regarding Regional Equity Participation (PMD) for BUMDs; PT. Jakpro, PT. MRT Jakarta, and PD. Pembangunan Sarana Jaya.
" We are still reviewing revision on BUMD Perda to add its basic capital"
"We are still reviewing revision on BUMD Perda to add its basic capital. Moreover, we also review legal entity change from PT into PD," explained Merry Hotma, Jakarta DPRD's Bapemperda Deputy Head, Tuesday (12/4). She stated, various related institutions such as observers and academics will be invited to give their general views regarding Perda revision in Public Hearings Meeting (RDPU) on Wednesday (12/5). "Tomorrow, we will hold RDPU at 10 AM to hear academics and observers views for our input," she m entioned.